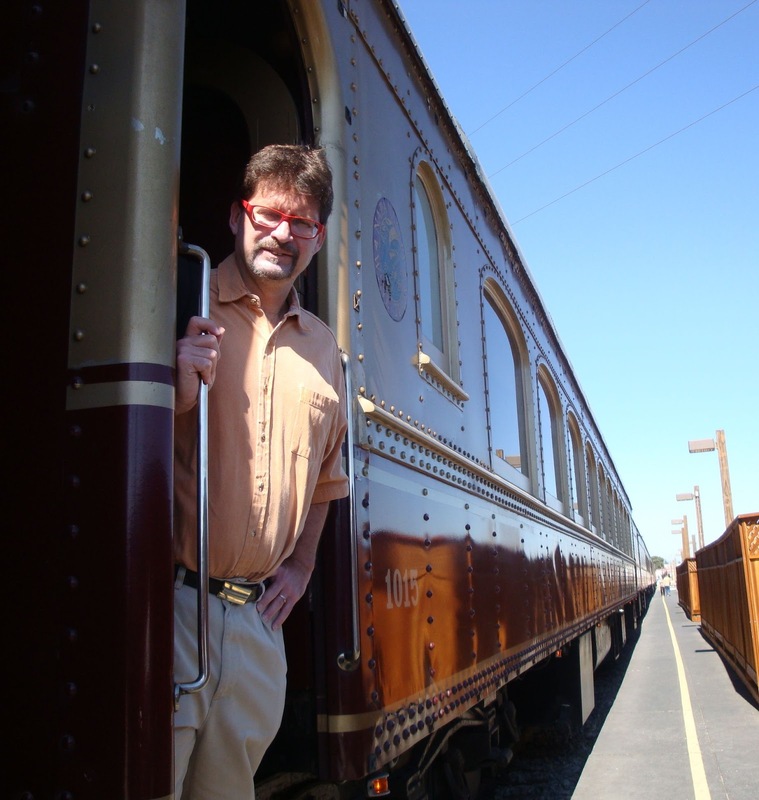 Could the Napa Valley Wine Train ease commuter traffic? Napa Valley is the only place in the world where anyone can enter the wine game at any level and succeed. You can be a penniless intern and work your way into a career-making apprenticeship. Or you can be a successful business magnate in any field, overpay for a winery and vineyard and transform yourself into a country gentleman/vintner in a way that's just not possible in Bordeaux or Burgundy. Or anywhere else, really. Napa Valley is a magnet, the same as Broadway or Hollywood, albeit for people for whom food lights the stars in their eyes. Servers in restaurants have big dreams. Men and women with advanced degrees take entry-level jobs mucking out barrels. They keep coming because people keep succeeding. Napa Valley survived the economic downturn with far fewer winery bankruptcies than most analysts expected. There are still plenty of jobs there, but not many pay all that well. Napa Valley also has a similar housing problem to Jerusalem. When I visited the Israeli capitol a couple years ago, a city official complained that American Jews buy all the prime flats near the old city to use for occasional visits, meaning some of the city's best neighborhoods are empty most of the year. St. Helena and Calistoga have similar situations: wealthy outsiders buy homes to use only occasionally, leaving little available housing for the many people who actually work there. Compared to most wine regions, Napa Valley relies on workers who commute, sometimes for an hour or more. It's a lifestyle nuisance, sure, but it's also an environmental problem, especially for a region on the knife edge of losing its special stature to global warming. One thing that consistently impresses me about Napa Valley is that it's always greener than you think. A marketing survey a few years ago showed that wines labeled as being made from organically grown grapes sold for less money. Napa wineries as a group are better at marketing than anybody in the world; that survey has not been ignored. But most growers there are increasingly moving into sustainable farming, whether wineries admit it to their Republican customers or not. Reducing traffic to cut Napa County's total carbon emissions, though: that's a tough nut to crack. I have a story on the topic this week in Wine Searcher. In part it was inspired by a somewhat off-the-mark editorial in the Napa Valley Register that made me want to look into the issue in the first place. The editorial blames Napa Valley emissions on the wine industry's highly successful marketing of itself as a grownup Disneyland to tourists. That's easy to pick on, but it's not the real issue. The real issue is commuting, and it's something few other farming regions have to deal with. There are a couple of interesting plans afoot, but for now, Napa's planning commission has gone back to the drawing board. I wish them luck because I prefer to buy my table grapes from Fresno. Read the Wine Searcher story here. Funny how the county and city are happy to build wineries but housing is a no-no. Like most cities they build up the businesses and then realize they do not have the right infrastructure to service said businesses "Oh yeah, roads would be nice" But now it is too late since land prices are too high to widen or build new roads to aleviate congestion on Hwy 29. If there is ever a disaster in the Valley and you you need to get out and they are blocked we are SOL since there are only about 4 main roads to get out of Napa. What does this have to do with Jews? As an American first, Jew second, I find your comment offensive and totally off the point. "You can be a penniless intern and work your way into a career-making apprenticeship. Or you can be a successful business magnate in any field, overpay for a winery and vineyard and transform yourself into a country gentleman/vintner in a way that's just not possible in Bordeaux or Burgundy. Or anywhere else, really." The Sommeliere: Perhaps you like being offended? Mark: It may not be obvious from the paragraph construction, but I think the second sentence is possible in Napa in a way that's not possible in Oregon at all and not yet possible in Walla Walla. Those places have the wines, but not the lifestyle. Good article, and interesting point you make about the "ghost" houses here in town. I never realized how many of the properties are actually vacation homes, but it is a very high percent relative to other places. And Sommeliere...lighten up. He was just recanting an observation made by an Israeli resident. Jeez. Perhaps I like being offended? What a stupid thing to say. When I drive to Napa in the carpool lane, i am always amazed at the amount of cars stuck in traffic with only one person in each car. I wonder why not to extend the BART system to Marin County with stations in Corte Madera, San Rafael and so on all the way to Napa and Sonoma. I asked about this to some friends that are SF natives and they told me it would never happen because of an elitism of Marin residents that would never want that. It seems to me it would be great for business if a tourist in the city could hop on a train and be wine tasting one hour later without having to drive back. DAPZ: That would be convenient, but it's not going to happen for more practical reasons. BART stewardship thought they would make money on the extension to the airport and they haven't; ridership hasn't been as high as everyone expected. That cooled everyone's jets for the next logical extension, to San Jose. But that extension is still on the planning board and would have to be completed before anyone looked north. "What does this have to do with Jews? As an American first, Jew second, I find your comment offensive and totally off the point." I 2nd you like being offended. It's a brilliant parallel in housing economics. Being offended is your choice.